Android One has made it's way to another continent Africa. Android One has been launched in 6 countries in Africa. 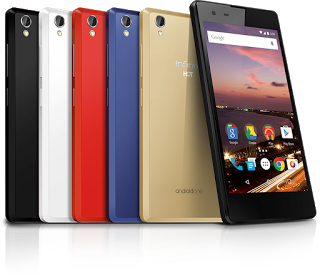 According to Official Android Blog, the Android One Infinix Hot 2 is priced for N17,500 ($88). As said by Google before also, the device is available in affordable price. I am really stunned with the Android One's design, according to me looks nearly similar to Sony's design, isn't it comment below your views. If you are in any of the above listed places, then check for it. Starting today, the HOT 2 will be available in Nigeria at select retail outlets and online through Jumia and Android Official website says the, Android One will be available in other countries over the next few weeks, don't worry we will be updating you with that. The important specs of Infinix HOT 2, it is powered by Quad-core Mediatek processor with 1GB memory, dual-SIM support and will be available in five colors: Black, White, RED, Blue and Gold. It runs on Android 5.1.1 Lollipop and as you know it will be getting latest of Android for limited period. With all these stuff Google also announced Youtube Offline for Nigeria, Kenya, Ghana and Egypt in few months. The offline Youtube was first introduced in India and i use it everyday, you can view video without any hurdle.